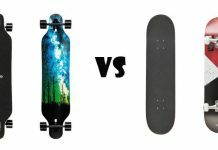 Longboards come with various construction, shapes, features and each of them differs in their design based on the different abilities and riding styles. Today in this guide, you are going to learn in detail about the riding styles, board shapes and deck styles of them below. 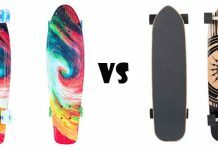 There are various riding styles available within the longboard, whether you need to bomb the hill or if you need to cruise the class campus or session a park or drainage ditch, there are various boards used for making all things possible. Based on the living area consideration, you will need to choose the riding styles. Let’s check out the different riding styles below in detail. Carving and cruising help in cutting the sloped streets or ground, quad ripe on the way of your class or log distance pushes on the ground or flat. This type of riding style is best for the people who just started trying out the longboarding, also will go well with the experienced ones too. 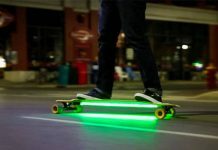 This type of longboarding is used if you are about bombing hills with control, for increased stability and reduced wind resistance you will be in the tucked position or a crouching position on your board. This type of style riding is also one of the best picks for the new longboard riders. This type of riding style will have moderate speed while riding over the hills, curb hops or in slides. If you are sure of the high controlling rates, then you can try this freeride longboard styles. Freestyle longboarding involves creativeness; you can try whatever you need to be aware of the board tricks, goofy and regular riding, sliding, dancing and few other technical skills. Best for beginners as they can learn more about the longboard skills in detail, but this should be tried in depth by expert and advanced riders. There are two different types of longboard shapes and can be tried by both beginners and advanced riders. This type of longboard is used just for one direction ride. The favorite directional board shape from all the riders is the pintail as they provide the correct control and the perfect board feels during the trip. Cruisers, downhill boards, and carvers are directional but has more exceptions. This is also known as the symmetrical board, and you can ride on any 180-degree sliding. This type of longboard shapes is commonly found in the freestyle and freeriding rides. There are four different types of deck styles available namely Top mount, Drop Through, Drop Deck and double drop. Let’s check out them in detail below. This type of deck style is the traditional longboard shapes and also considered to be the affordable ones. This kind of deck will be mounted on the truck so that the gravity in the center is high when compared to other board styles. There are chances for making them less stable but nimble when compared to the dropped boards due to the turn leverage increase. This type of styles are versatile and can be used for downhill, freestyle, cruising, carving, freeride, etc. In this type, you can find the truck mounted on the board which will lower the height of the deck when compared to the board thickness. The fatigue gets reduced and also the stability of the board ger increased when braking or pushing, this type of longboard styles are perfect for long distance commuting namely for downhill and freeride styles. The look of these styles are the little bit weird and considered to be the efficient methods of increasing the stability and for less fatigue during pushing or braking. The center of gravity can be lowered quickly with this drop deck styles, the dictation of the drop is measured in inches, and this is usually tried in freeride and downhill rides. This type of board style acts in between the drop deck and drop through styles. This board style is one of the styles which is stable and also the expensive longboard style available. This is typically found in downhill boards for the efficient use. Hope you are clear on the riding styles, board shapes and deck longboard styles from the above simple explanations. What is your favorite longboard riding style? Let us know through the comment section below.